With autumn upon us it’s the perfect time to grab your walking boats and head to Porthleven to discover some of the lovely coastal walks in and around the historic harbour. One of our favourite walks is the Porthleven to Helston route which passes through The National Trust’s Penrose, a beautiful farmland and wooded area and alongside Loe Pool. 1. Begin at Porthleven clock tower and continue up the hill past the beach until you join Loe Bar road. Follow this road until you get to the First Downs car park, just outside Porthleven and take the South West Coast Path sign for Church Cove. Continue on this path towards the shingle beach at Loe Bar. Interesting fact – The shingle dam at Loe Bar began to form around 10,000 years ago at the end of the last Ice Age, when the melting of the ice sheets caused sea levels to rise. 2. When you arrive at the National Trust’s Bar Lodge turn left and follow the estate drive through the woodland area, along the western shore of the lake. Continue along this drive following the sign for Helston and Porthleven, until you arrive at Penrose House. Interesting fact – The Bar Lodge was designed by a leading London architect called G.H. Fellowes Prynne and was built by estate workman between 1895 and 1898. 3. Continue walking along the drive through the parkland area and turn right, following the sign for Helston. 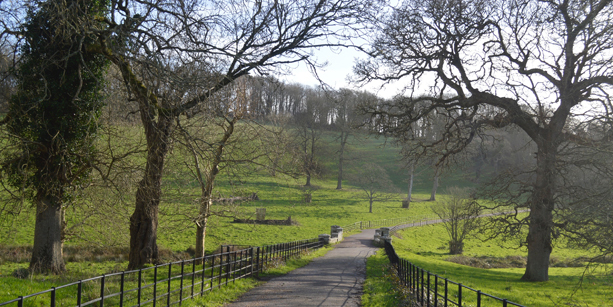 Follow the drive alongside Loe Pool until you get to Helston Lodge. Carry on through the gate along the drive to Oak Grove, where you’ll walk through a dense woodland area. Continue walking along Penrose drive until you arrive at the Boating Lake in Helston. Interesting fact – The Loe is the largest natural fresh water lake in Cornwall, 120 acres in total, and was originally the estuary of River Cober.